Now that the ring is on your finger, it’s common that you’ll quickly start day dreaming about your wedding gown. But, it’s tough to know where to start, and that’s why we’re here to help! We covered the basics between ivory and white in a previous blog, and now it’s time to dig into the silhouettes! It’s best to prepare yourself with the lingo so you can consider all your options and clearly communicate during your bridal appointments. 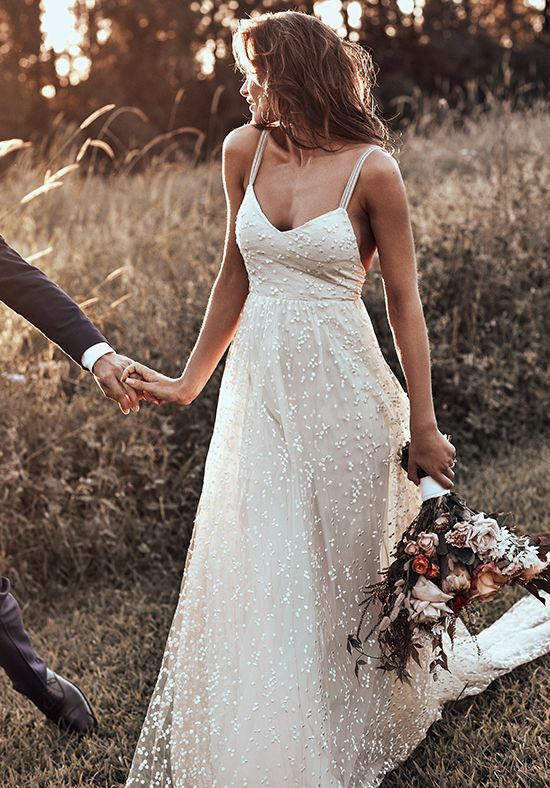 We hope you will try out all the looks, consider what looks best for your shape, and select whatever makes you cry tears of happiness for your wedding day! 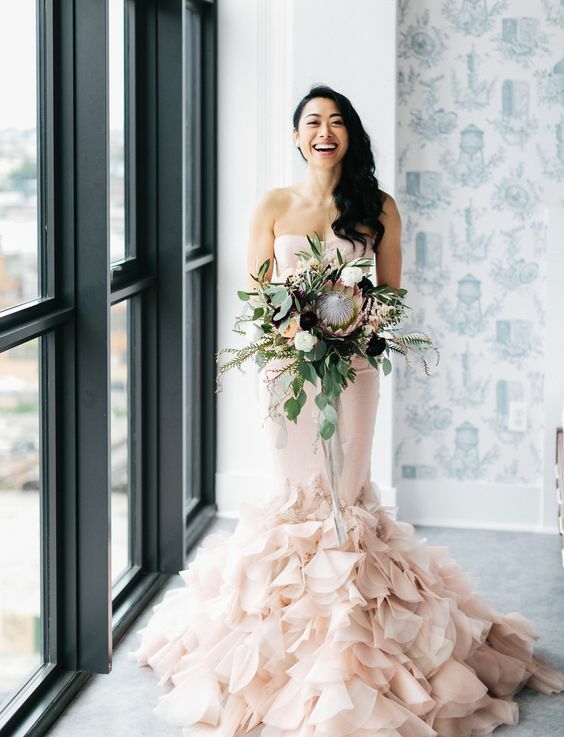 A Ball Gown is the perfect gown for a bride who is striving to achieve a princess look on her special day. This silhouette accentuates your waist and is romantic and dramatic due to it’s full skirt. It’s a gorgeous option for fairy-tale styled weddings and for brides who want to make a statement. A -Line gowns cinch at the waist and flare from the hips to resemble an A shape. 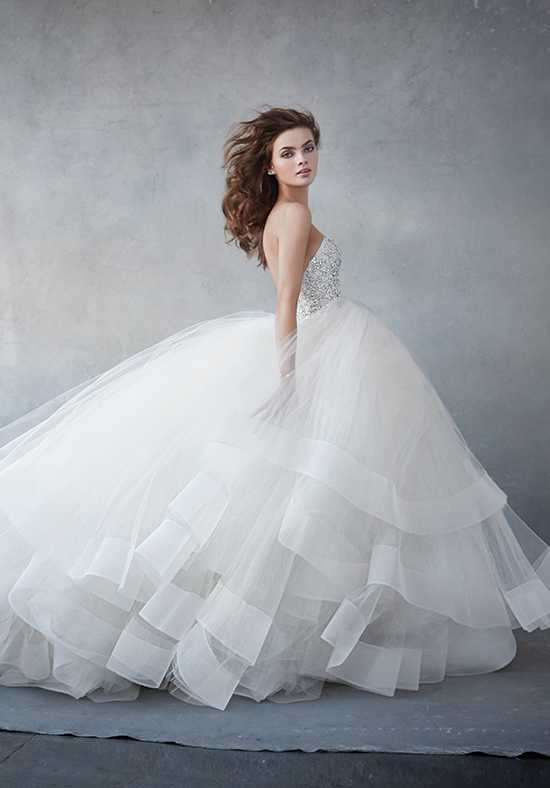 This silhouette shows a full skirt and is a timeless choice. Who can forget Princess Kate’s gorgeous A-Line gown? Also known as a Fit and Flare, this silhouette is tight through the bodice onto the hip and then flares out into an A-shaped skirt. The Empire Waist silhouette is ethereal and features a fitted bodice that ends just below the bust. The gown makes any bride look taller and leaner due to the tight, flattering bodice and lengthening skirt. A Trumpet silhouette is very similar to the Mermaid silhouette. However, the Trumpet sits tightly on your body until mid-thigh before flaring out. Though it accentuates your stomach and hip areas, it gives you gorgeous curves. Similar to the Trumpet, the Mermaid hugs your curves and then flares out at the knee. This gown creates a perfect hourglass shape by defining your waist and hips. Also known as the Sheath, the Column is defined by a narrow shape that flows straight down from the neckline to the hem. Simple and flowy, the Sheath is the perfect shape to achieve an effortless elegance on your wedding day. The hem of these gowns fall between your ankle and knee. Tea-Length dresses are a flirty, yet sophisticated way to go short for your big day.